A couple of years ago at Christmas, we braved the theatre for the first time with a pair of toddlers. It was “What the Ladybird Heard” at Birmingham Town Hall and it was so wonderful. Not just because the performance was so engaging for the kids, but just because I wasn’t terrified of them bouncing around. The whole show was geared to the enjoyment of a theatre experience for children. This festive season at Birmingham Town Hall is Going On A Bear Hunt! The story follows the intrepid adventurers of a family on their quest to find a bear; as they wade through the gigantic swishy swashy grass, the splashy splashy river and the thick oozy, squelchy mud. This fun filled adaptation will feature catchy songs, interactive scenes and plenty of hands-on adventure – plus a few special surprises along the way! The show promises to delight and entertain the whole family this festive season. 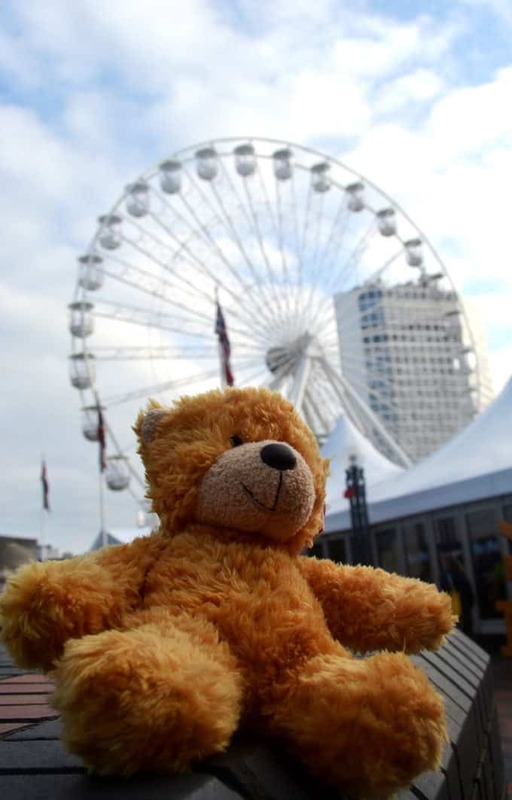 I have teamed up with Town Hall Symphony Hall to offer one reader a limited edition plush teddy bear and a family ticket (4 tickets) to Birmingham Town Hall to see We’re Going on a Bear Hunt on Saturday 2nd January 2016 at 11:00am. Enter below using the Rafflecopter widget. Please note, you will need to be able to attend the showing on 2nd January 2016 at 11am and no further expenses are paid. All of my kids would love this – especially the youngest it is one of her favourite books! I’d take my nephews Preston and Parker, they love we’re going on a bear hunt! My son Toby would love to see the bear. My little girl would absolutely love this!